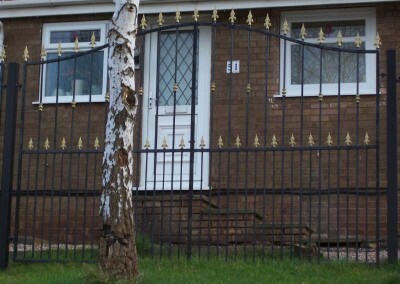 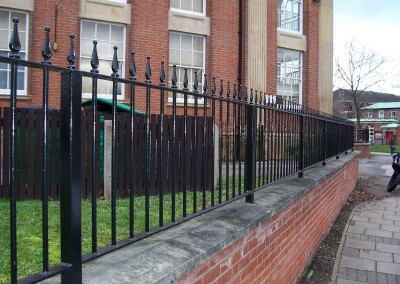 Wrought iron gates, fencing, handrails, balconies prestige, staircases, fire escapes, steel fabrications. 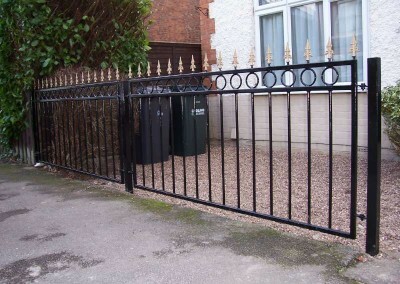 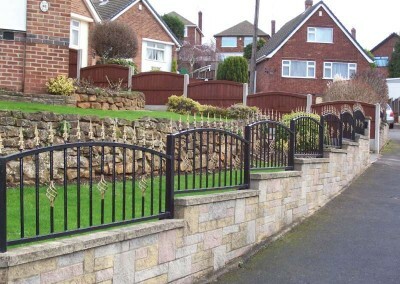 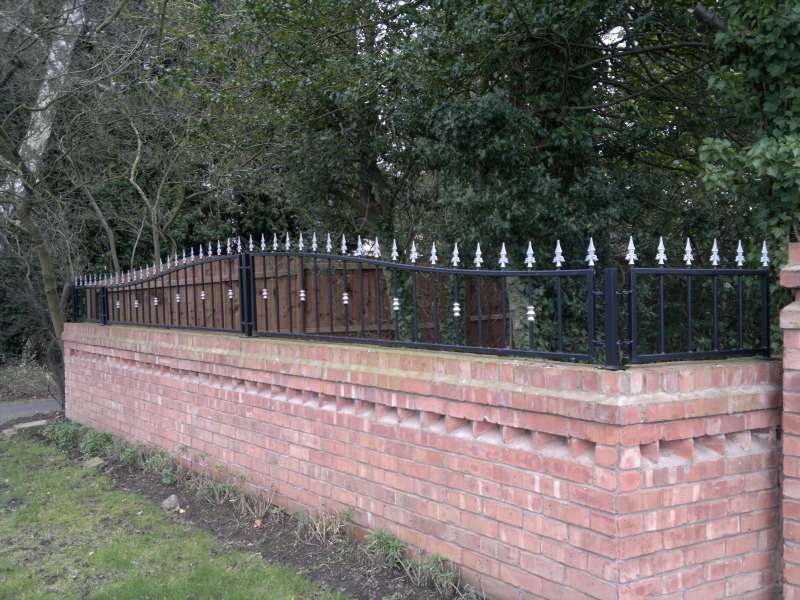 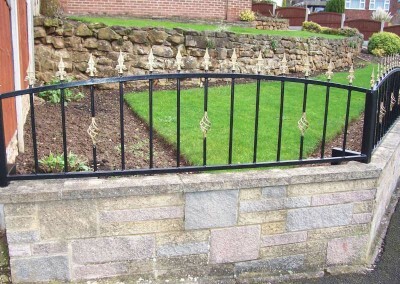 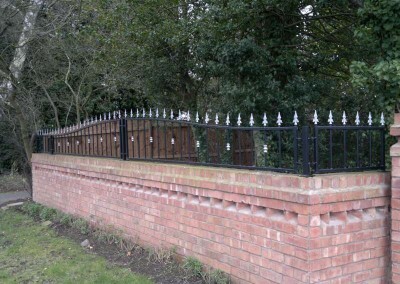 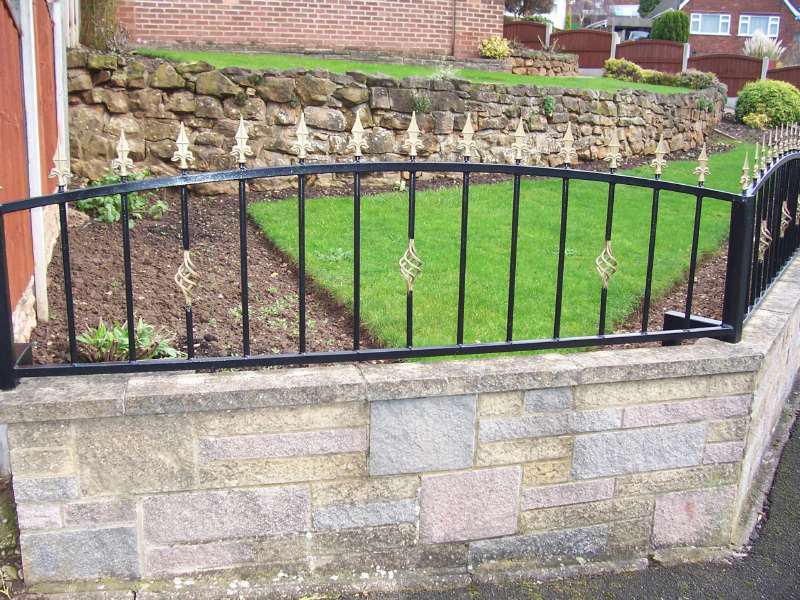 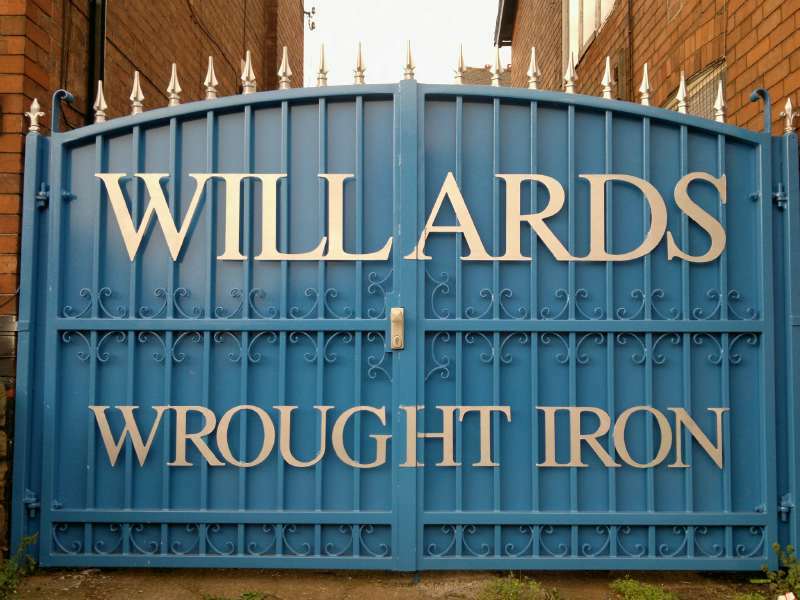 Willards wrought iron have a vast design portfolio that ranges from ornate wall railings to tall security railings and this also applies to our fencing whether this also ranges from a garden fence or a small sections of wall railing to the front of a domestic property through to 1000’s of meters of school and parks railings/ fencing for housing, industrial fencing projects and re generation projects. 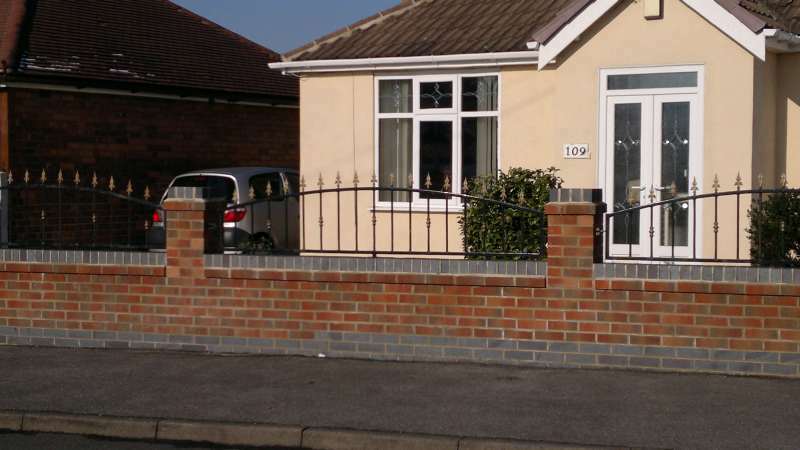 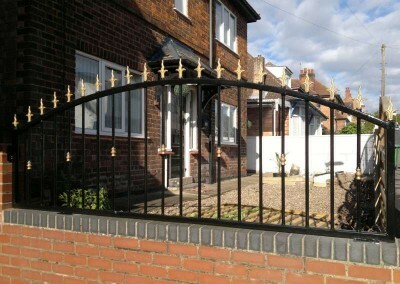 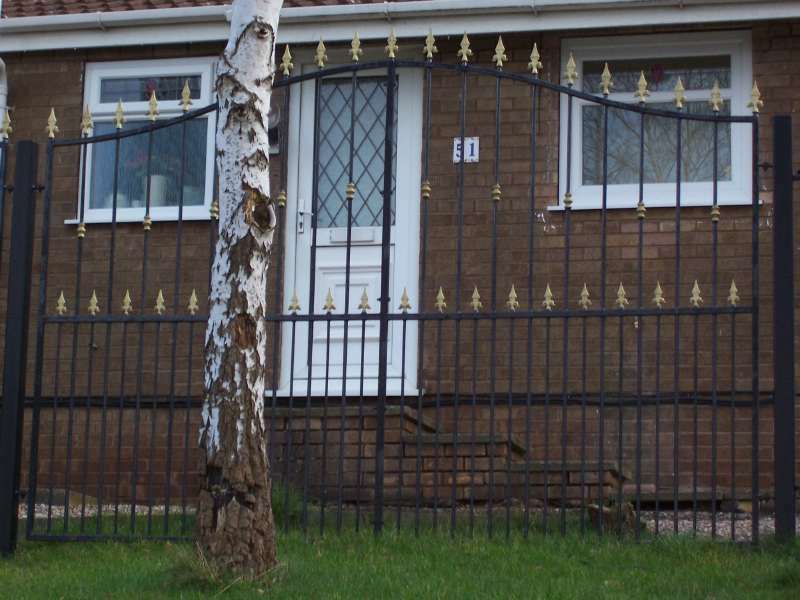 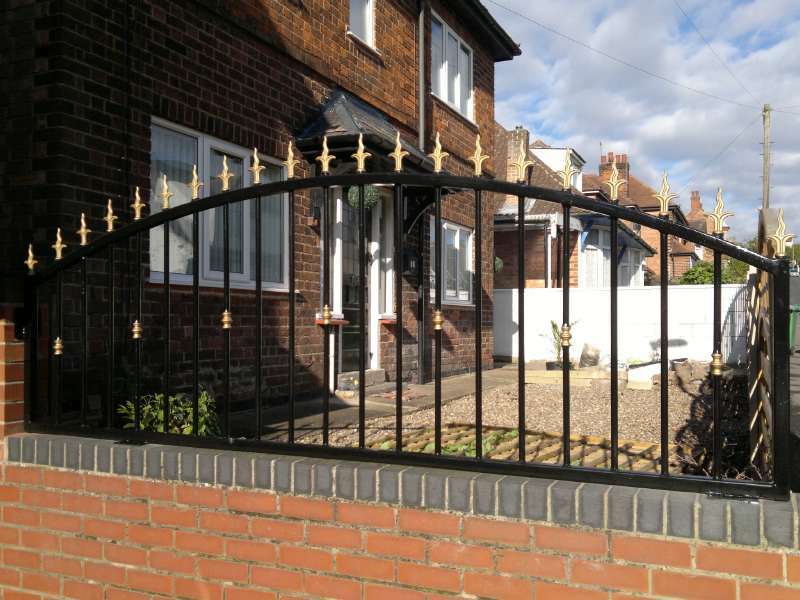 We have a range of standard designs include various hoop top or arch top railing, bow top, flat top Saxon style, Spanish style, or railings with Fleur de leys down to estate style railings and fencing. 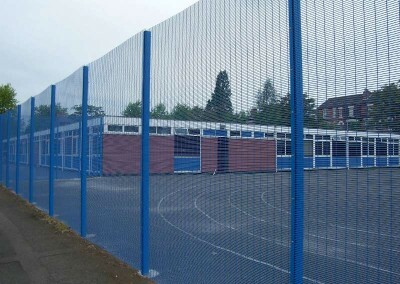 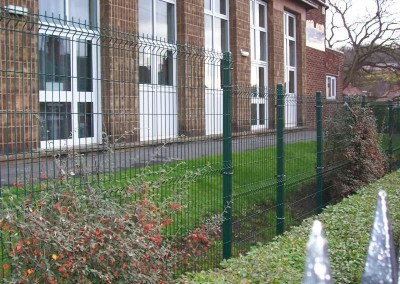 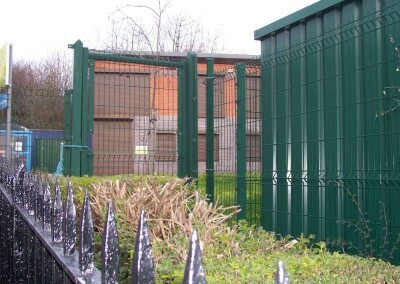 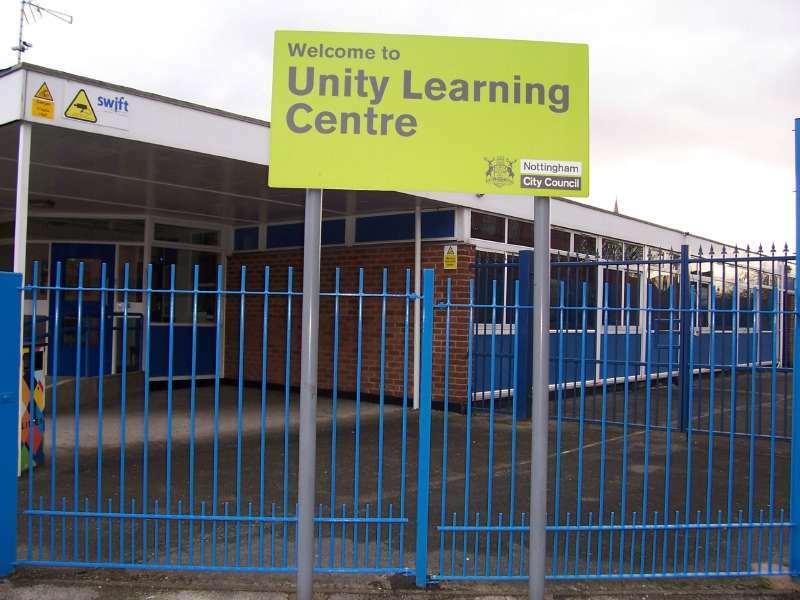 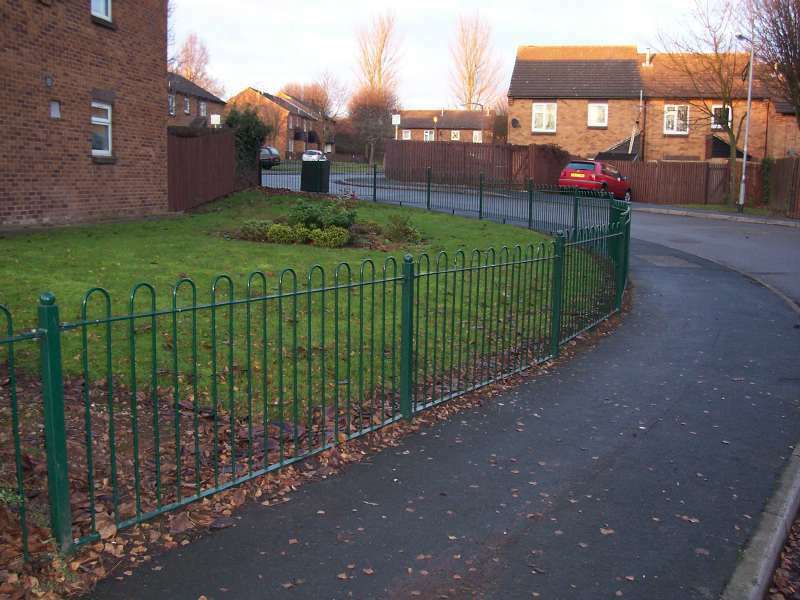 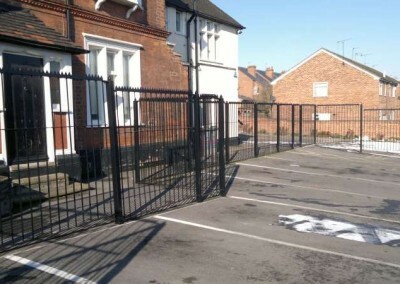 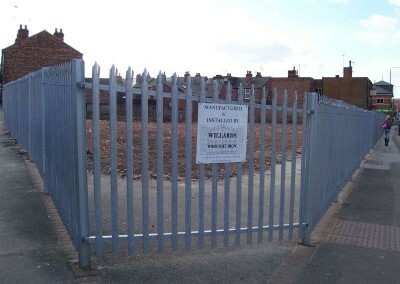 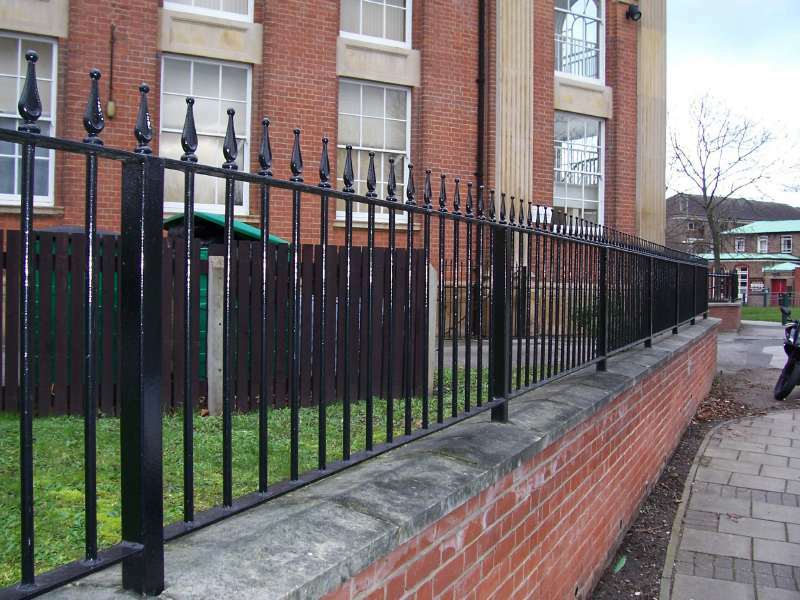 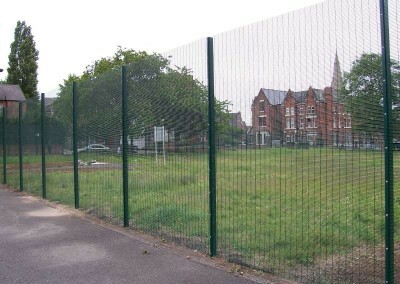 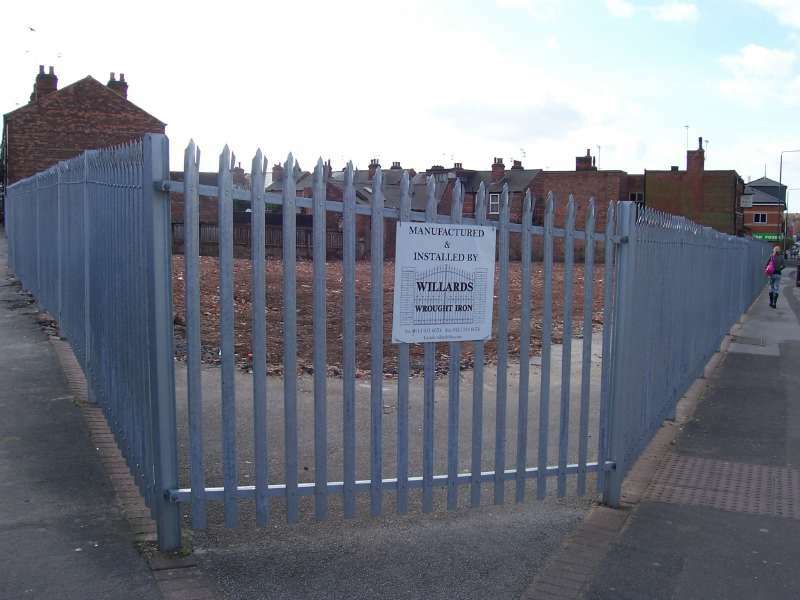 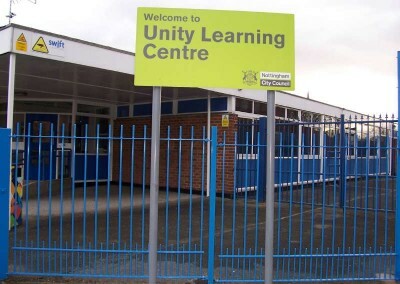 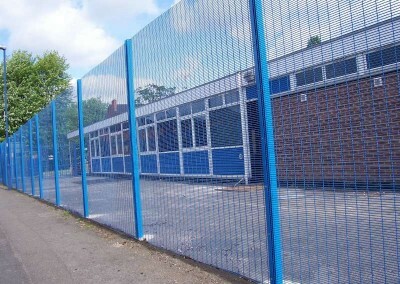 All of our railings and fencing are suitable for schools children’s parks and play areas and can be incorporated with gates that are self-closing and lockable with Willard’s Security locking system and are manufactured and fitted to relevant standards by our fully skilled time served fitting team. 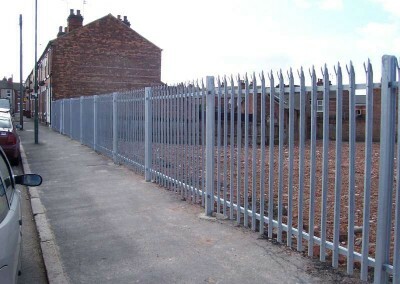 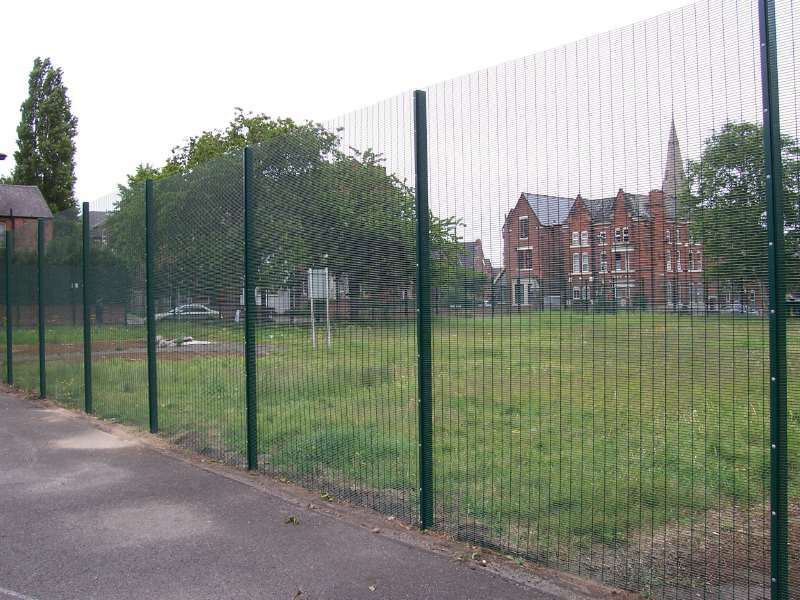 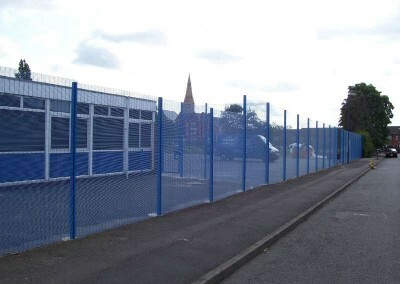 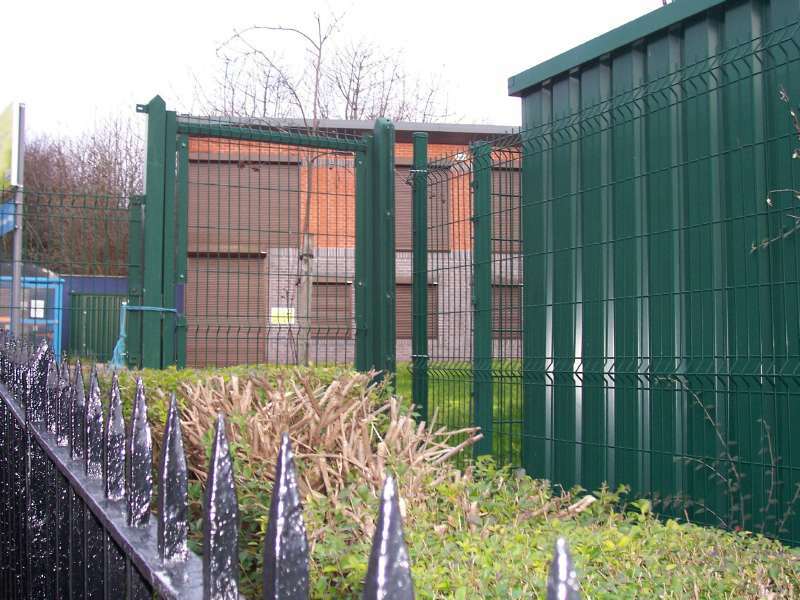 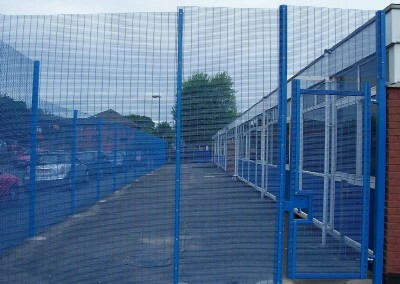 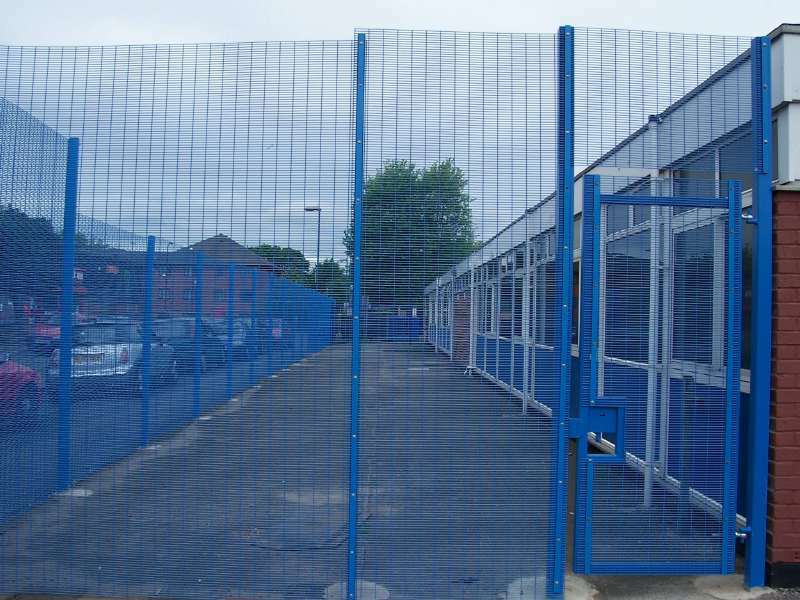 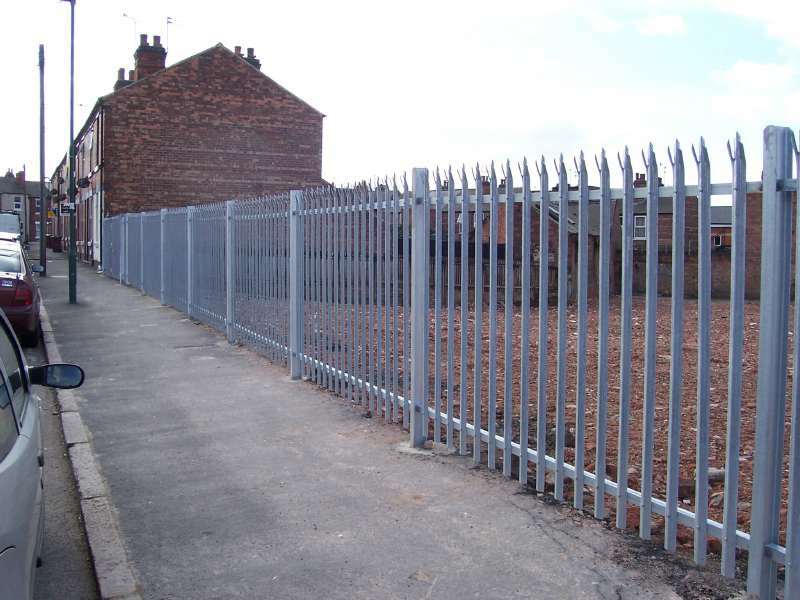 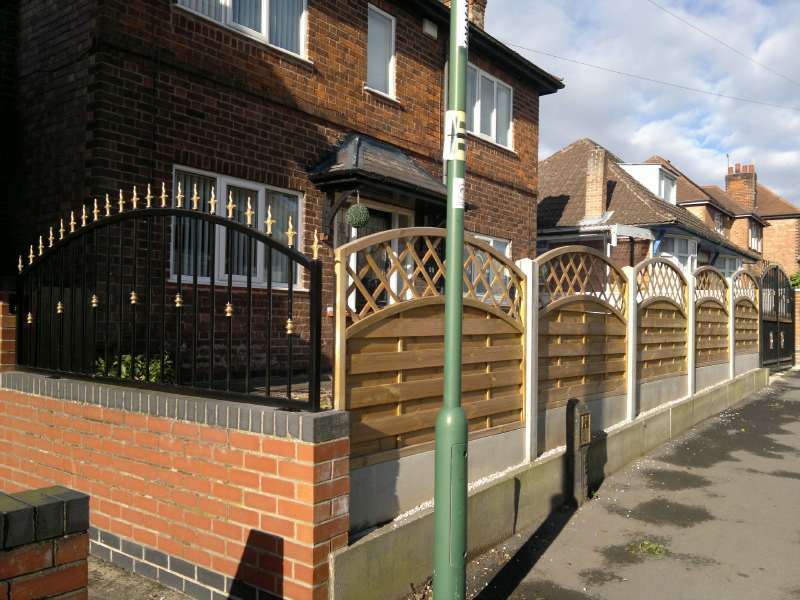 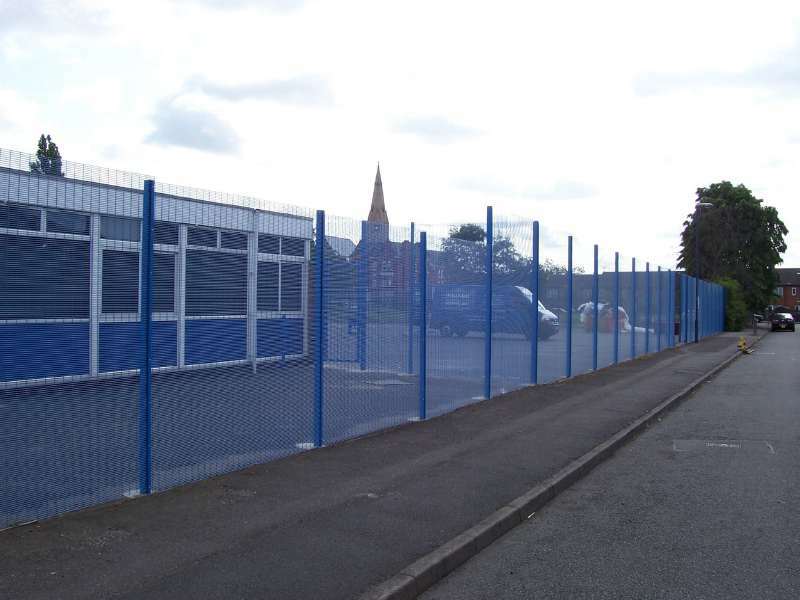 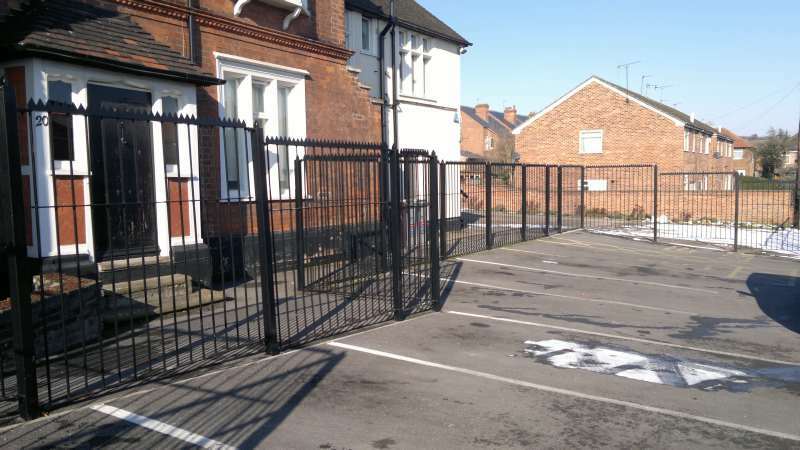 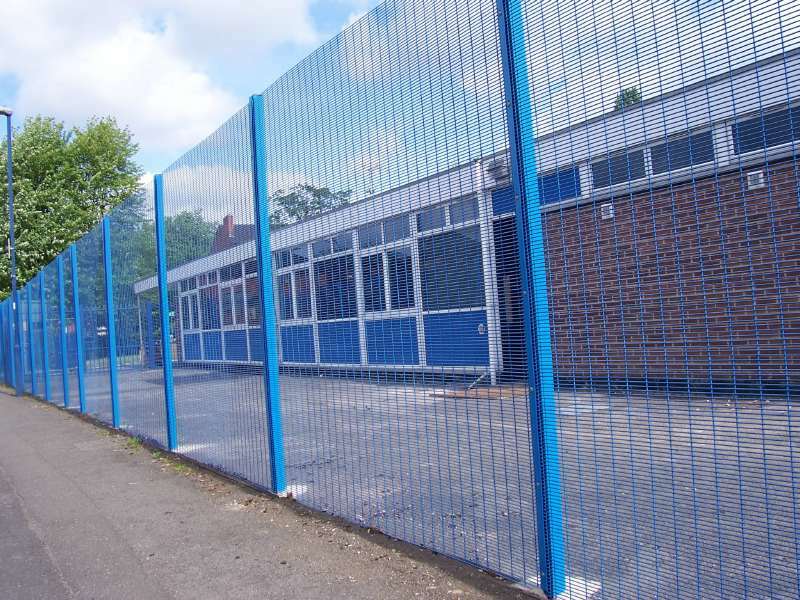 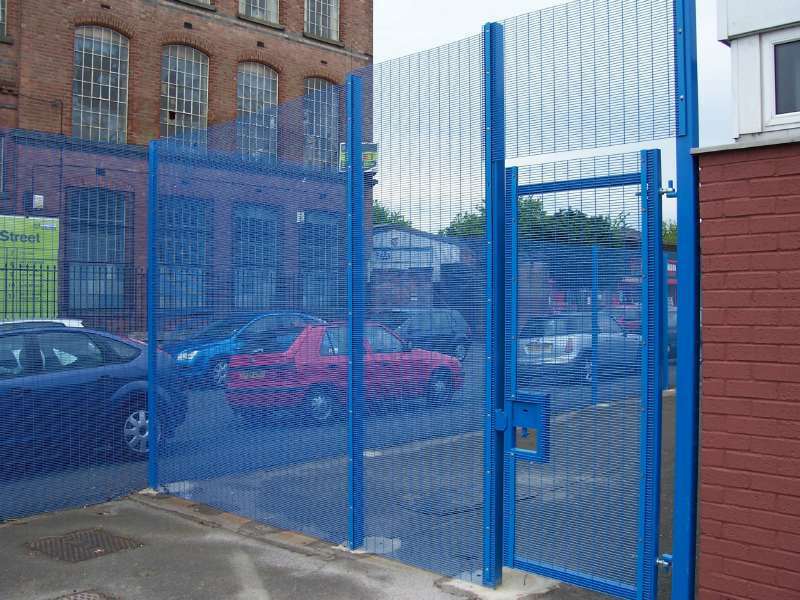 We also can supply and fit metal palisade fencing with ether double or single gates and mesh anti-climb fencing systems with gates to match suitable for perimeter boundaries.We manufacture steel barrier rails/ gates and booms for car parks etc. 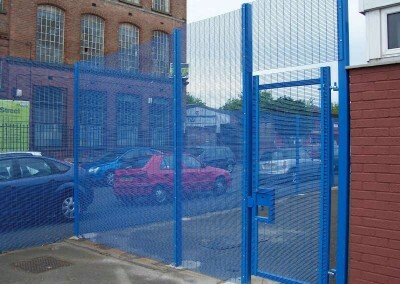 to stop unauthorised access. 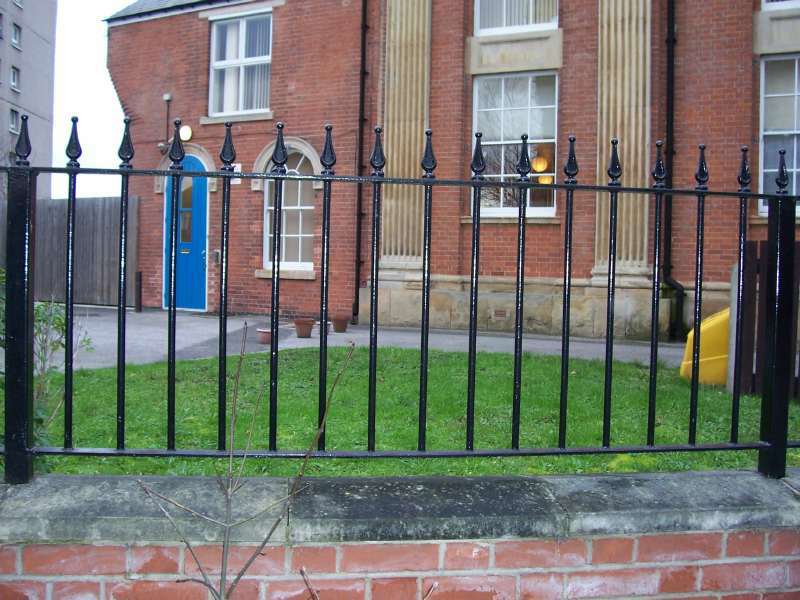 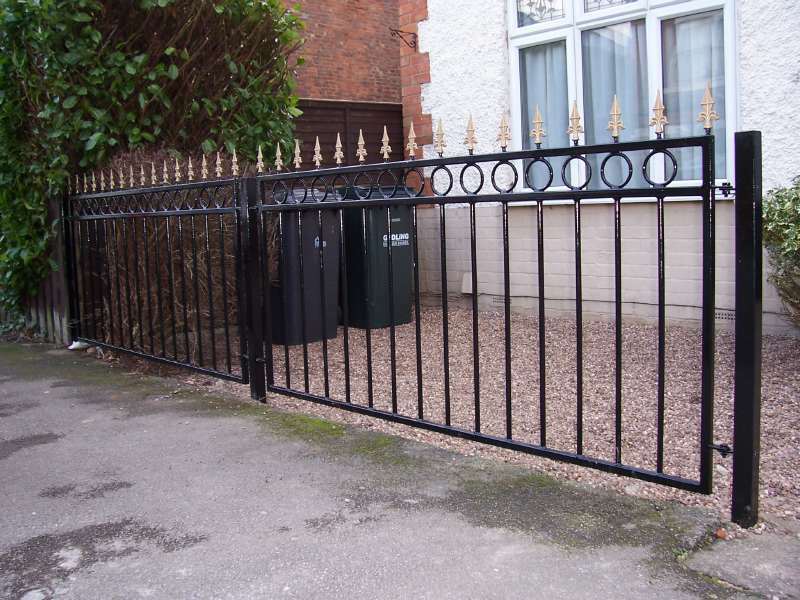 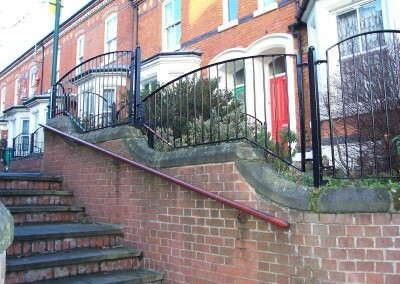 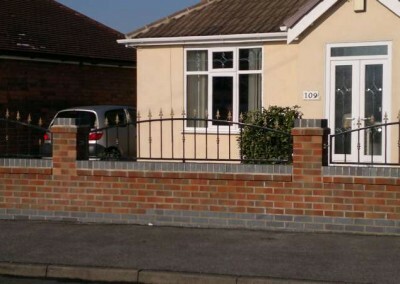 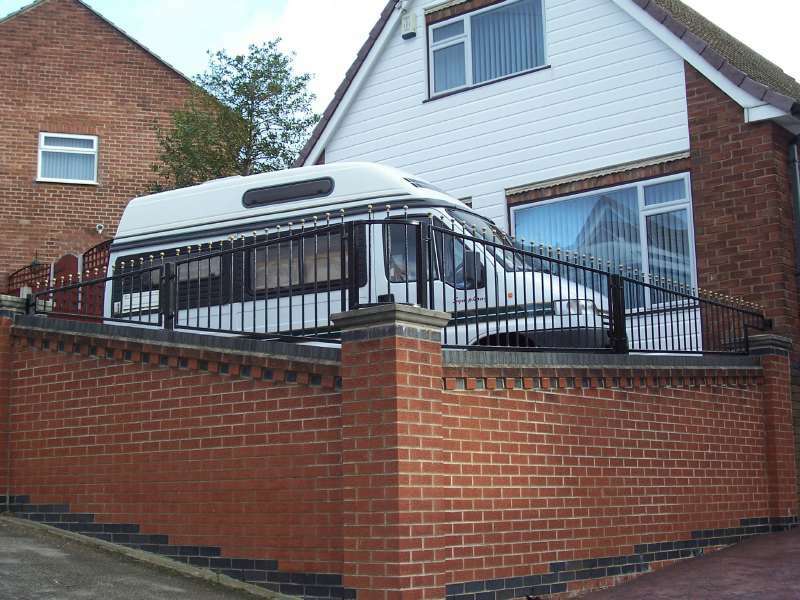 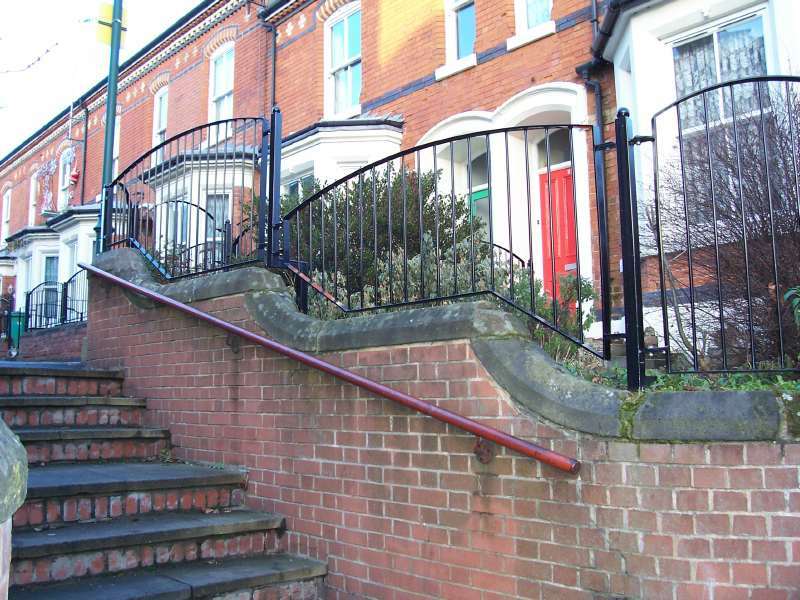 We manufacture all our metal railings in house to standard designs or manufacture bespoke design railings or to match an existing style of railing or fencing.All of our railings and fencing can come in a choice of finishes which include primed ready to be painted, hot dipped galvanized and powder coating. 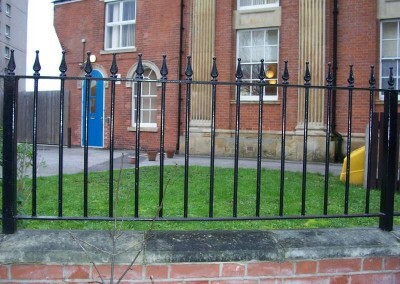 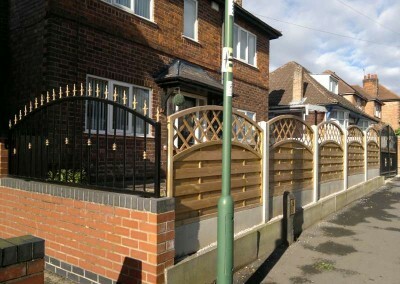 We can also offer an onsite painting service to either our primed or galvanized products in any colour of your choice.